R&D Tax Relief - What's what? R&D Tax Relief – What’s what? 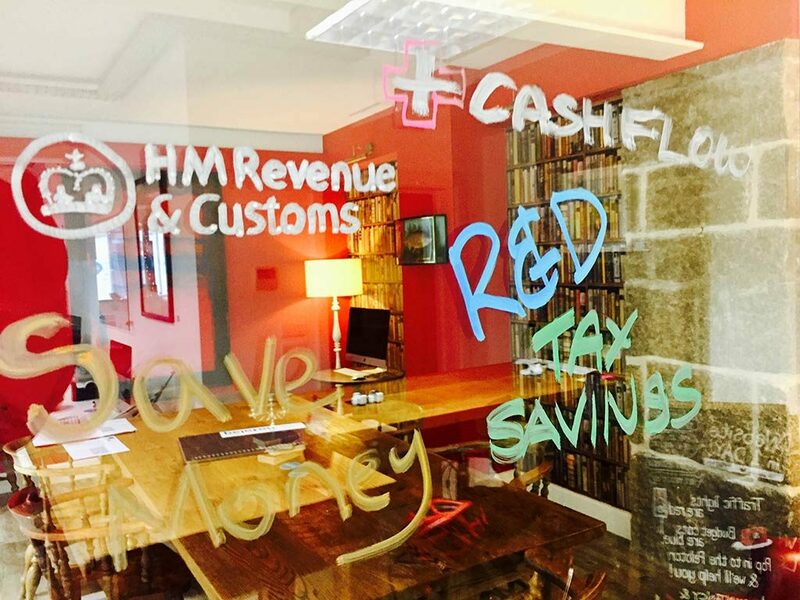 20 Sep 2016R&D Tax Relief – What’s what? The Research and Development tax credit scheme (for SME’s) is an HMRC incentive designed to encourage innovation and increased spending on R&D activities by companies operating in the UK. The Government has expressed its desire to make the UK the most attractive place to start and invest in innovative companies and, as a result, the incentives for companies to innovate have continued to improve. The product, process or system must not be in the public domain. In its simplest form any ‘Qualifying Expenditure’ is effectively increased by 230% thus reducing the company’s profits and, in turn, reducing the tax bill. Should this cause an overall loss then the loss can be carried back, carried forward or surrendered (meaning you immediately get credit in cash form within 28 days of your claim being approved). Oh, and claims can go back 2 years, so if the R&D was done in the last couple of years, no worries, we can still help you claim. Also you can claim year-on-year if there is qualifying expenditure each year. Wow this is great, what next?